We all want to be healthy. Checking the Food label is important in choosing the right foods. However, if you don’t understand what you’re reading, then it will be difficult to make the right choices. 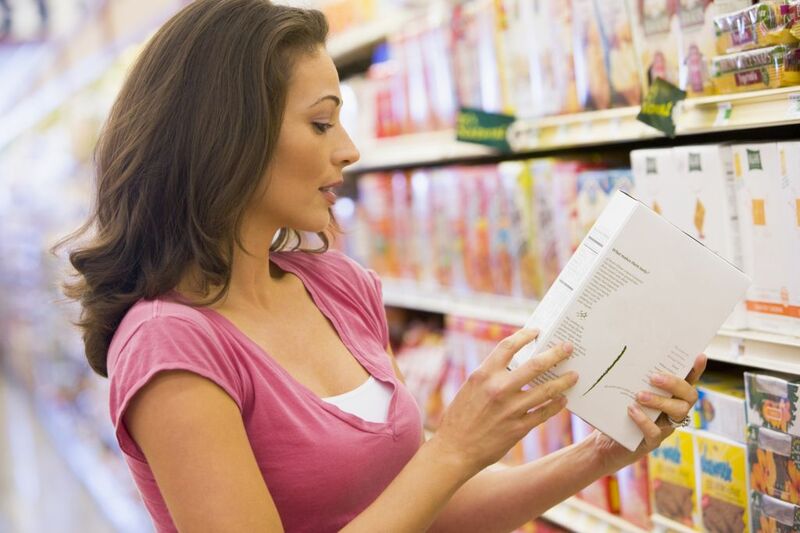 In this article, you’ll learn how to read a food label and how this will affect your health. The Serving Size is the amount of food that is recommended as a serving. The information on the package is based on this serving size. On the example, the serving size is 3 Crackers (14g). The number of Calories is the amount of energy in the serving size. If you eat more or less than the serving size, adjust the calories and nutrients based on your choice. When the food has a high amount of Calories from Fat, limit your intake of this food. Your total fat intake should not be more than 30% of the total amount of calories. The % Daily Value tells you whether one serving contains little (5% or less) or a lot (20% or more) of your total daily intake of each category. You should choose food that is low in Fat, especially saturated and trans fat which are related to health issues. Limit your Fat, Sodium and Cholesterol as these ingredients are responsible for health problems. Most of the fat you should eat are unsaturated fat, like Polyunsaturated Fat or Monounsaturated Fat. You should eat 50 to 75 grams of Protein per day. The next are the lists of the beneficial Vitamin and Mineral contents per serving. The Percent of Daily Values are based on a diet of 2,000 calories per day. Most people need less than this per day, especially children, women and older adults. Diets of 2,000 calories per day are for active teens and active adults. Diabetes – is a common illness and can strike anyone among all ages. Certain foods, such as sugary food or white flour foods will turn into sugar or glucose in our bodies. Once the food has been broken down into sugars, the pancreas will release insulin and insulin will open your cells allowing glucose to enter. Glucose can then be converted into energy for the body. But if you have diabetes the pancreas has stopped producing enough insulin to counteract the sugar in your body. Some of the symptoms are excessive thirst, wounds that don't heal or heal slowly, blurry vision, extreme hunger, frequent urination (waking up 3 or more times at night just to urinate), Fatigue after eating. To learn more about diabetes, visit the American Diabetes Association. High cholesterol - If Saturated fat and trans fat intake are high, it can raise your cholesterol and the risk of other heart diseases. Both adults and children can have too much cholesterol. Cholesterol is fat in our blood. We can also get cholesterol from some of the foods we eat. Our body needs it, to help our organs grow and work. But too much of it can cause blood clots in the arteries. So, if your cholesterol is high, it may lead to a heart attack that can damage your heart or stroke that can affect your brain and body. Choose food that is low in fat to lessen the risk of this disease. High Blood Pressure – Have you ever checked your blood pressure? Here’s the logic, just remember if your blood pressure reads greater than 140 over 90, you may want to consult your doctor about having high blood pressure. Monitor your blood pressure. If it reads 120/80 – 140/90 your blood pressure is within a normal range. If you have high blood pressure, the higher pressure puts more strain on your blood vessels and heart. Rolanda Perkins had no history of heart disease in her family. And she never expected that such a disease would strike. But in 2005, she had a heart attack partly caused by high blood pressure. 70% of people who have heart attacks also struggle with high blood pressure. Rolanda had been stressed just before the heart attack. She had been struggling with a headache for a couple days and thought it might have been a migraine, taking medication to help with the discomfort. But a few days after a surprise party that she threw for her sister, she had a sharp pain in her chest—a pain that she ignored. Until later that night, the pain woke her from her sleep and she was rushed to the emergency room. Although Rolanda said that high blood pressure ran in her family, she also admitted that she didn’t pay attention to the sodium that she consumed on a daily basis, leading her to intake more than she should have. Now, Rolanda is healthy, following a diet and exercise routine. She also encourages others to read the nutritional labels and ingredients list and know what you’re putting in your body before you do. Take care of your body. Get enough sleep, exercise, drink plenty of water, eat healthy foods, change your lifestyle and always check the food labels before consuming anything. Make better choices. If you have any additional comments, we would love to hear from you!